ASEAN/APEC LEAD CONSUMERIST DR JACOB GEORGE – NAJIB RIGHT THAT NSC 2016 VITAL FOR ADDRESSING NEW SECURITY THREATS! As I write this piece, I am informed we have over 28 Chinese fishing vessels berthing at Tanjung Manis, Sarawak for the past two years without carrying out any fishing activities. It is very suspicious and I am glad that dear friend Malaysian Maritime Enforcement Agency (MMEA) chief First Admiral Ismaili Bujang Pit is concerned of this matter! Inexplicably these so called “fishing boats that have licenses only have skeletal crews which raises issues! Our borders are porous and entry and exits points already abused by irresponsible quarters! We have a great security and intelligence unit, that are working 24/7 to keep us safe by day and night! In the background, recent attacks abroad be they in France, Turkey, Germany, Brussels and the US by militants and loan wolfs show we live in dangerous and challenging times. These times need special response mechanisms to address at breakneck speed a response to protect life, limb and the nation’s security so the National Security Council (NSC) Act 2016! The NSC Act contains provisions for the protection of civilians and their property as and when they are covered by the establishment of a security area, and also sets limits on the actions of the security forces during that time. So by all counts Prime Minister Najib Abdul Razak is right and justified accusing politically-motivated fear mongers of deliberately misinterpreting newly-introduced security laws, especially the National Security Council (NSC) Act 2016 which will soon come into force in August 2016! The NSC is a new law not the same as a declaration of a national emergency, a power which still remains with the Agong, and unlike a national emergency, Parliament remains sitting, with oversight on any security area declared. And Najib is right and there is no necessity for a public apology for enacting legislation placing the safety and security of the Malaysian people first. The threat it addresses is real – and Malaysia, too, got a taste of its first Islamic State (IS) attack recently! And only the speedy and professional response by our security agencies arresting several suspects, aides and abettors have prevented real casualty! We owe great gratitude to the security apparatus and agencies in Malaysia for their quick action! I understand the concerns of several quarters in regard fear of abuse. And the statement by the Premier here is targeting in assuring these quarters that their concerns are being addressed. Having stated the above I also appeal to the Premier to come out strong and direct on our racists and hate driven groups in the country and others advocating the murder of non-Muslims! Whether friend, foe, party member or sympathizer- there is no place in 1Malaysia for them! To the Opposition politicians, dear friends, I appeal that you continue carrying out your duties as your political office but based on facts, figures, and seek clarifications from Prime Minister Najib personally. He practices a revolving door policy and is available to meet quarters to address real concerns and to provide real assurances. This is vital and a professional duty. We need to carrying out our respective duties with dignity, decorum and not rush into politicking, fear mongering, manufactured allegations, which will be a destabilizing factor in a multi religious, racial and party system in Malaysia! 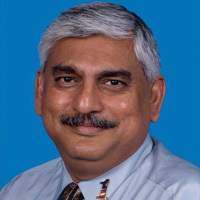 ASEAN/APEC LEAD CONSUMERIST DR JACOB GEORGE – DECLARING WAR AGAINST CORRUPTION A MUST! “I find it really disheartening when a corrupt person or politician after taking a bribe, talks about the high moral standards and urges people to follow the principles and ideologies of the Prophets, the Saints, of honest sacrificial religious political icons like Mahatma Gandhi, US President Jimmy Carter, or our own beloved founding fathers the late Tunku, Tun Razak or Tun Hussein Onn? There is only so much that the human mind can digest! And we have been battling the issue of 1MDB for such a long time with its many horrible versions, twist and turns, the Police reports, allegations and counter allegations, that has positioned Malaysia and its system of governance or lack of it to smithereens in the global civilized world where transparency has already entrenched itself as a cornerstone of government policy. And any attempts to behave otherwise using either state apparatus or punitive and draconian legislation will sound very destructive to a nation and its people in the near and long term! You cannot hide these things any more in today’s technology driven global village or threats of more draconian legislation to curtail freedom or access to information as is suggested by a misguided politician! So like millions of concerned and caring Malaysians I find Deloitte Malaysia statement that its audit of 1MDB in 2013 and 2014 would have been impacted if it had known at that time the information contained in the United States Department of Justice’s (DOJ) lawsuits to seize 1MDB-linked assets. Basically this professional brand was telling us commoners that their infamous 1MDB’s 2013 and 2014 financial statements, which the auditing firm signed off on March 28, 2014 and Nov 5, 2014, “should no longer be relied upon”. As an attorney I find total revulsion at such a statement! Basically even before criminal proceedings are initiated by the US DOJ Deloitte Malaysia, is confirming categorically that the DoJ’s action is correct and in accordance with the facts? Already the mantra of denials have now failed and now replaced by frantic and exposed politicians realizing that the ground below them is fast shifting as the international investigations go up another level and global and domestic public opinion turn against them exposing them as liars, thieves and political wolves in sheep’s clothing! Another Police report filed with innuendoes, malicious allegations against honest public servants of the nation! They think more Police reports, intimidation or the sending of a messenger to meet US officials will make this grandmother of all scandals affecting not only this nation but affecting financial hubs internationally just go away? These shenanigans must be reminded that the “politics of kowtism” does not work in the international arena with their rich and sacred tradition on due diligence, corporate governance, accountability, transparency, no one above the law and professionalism! They will not be tempted to ditch their snooping and investigation for high powered political positions, kickbacks and honorifics! These are dedicated men and women of dignity and decorum who have taken an oath and live by it! They are not corrupt officials! And corruption has now emerged to be a far greater scourge and threat to any nation more so one that is still caught in a time warp searching for its true identity after the dictatorship of more than 22 years that destroyed all check and balances in the nation! Is corruption not one of the deadly, undesirable and wicked sins that has been imposed on the nation by political shenanigans? Does corruption not result in the malfunctioning of the administrative system and poor law and order, but also some serious causes like the breakdown of a multi-racial and religious nation, poverty and red tape, which has led to the society’s disability. Does not corruption distort all God’s values making mincemeat of morality, truth and virtue. Sadly today corruption has entered into every single aspect of our lives becoming all-pervasive just similar to the air we breathe. Would we be wrong to assume that corruption has grown massively in huge proportions and there is barely any sphere of Malaysian social, political, economic and even religious activity that is free from graft, fraud and corruption of some kind. It is now regarded as a fact of life and an evil which is inseparable with which we have to live with throughout for which there are political greedy shenanigans ready to race and religious bait, threaten, terrorize and initiate Police reports and demonstrations to frighten an electorate wishing accountability and good governance? As I indicated in a recent keynote address abroad it happens as much as in the daylight, as it is done behind the closed doors. It is under every stone we turn and every door we open. Thus, it is this “corruption” that can be considered as a deadly sin in our society and it is a shame that we are being evasive and denying this fact by threatening those committed to abolish it? As an Attorney and Theologian too, I am aware that from the days of the Garden of Eden Human beings are full of temptations. After all human beings are human beings. And in fact, gold, cash, positions, honorifics, acts as a bait to these politicians and officials who are fond of bribe in any which way. Perhaps, they just need something to avoid the itching on their hands and crotch? But the stink lies not only in the prevalence of corruption my friends, but in the hypocrisy that accompanies it. I find it really disheartening when a corrupt person or politician after taking a bribe, talks about the high moral standards and urges people to follow the principles and ideologies of the Prophets, the Saints, of honest sacrificial religious political icons like Mahatma Gandhi, US President Jimmy Carter, or our own beloved founding father the late Tunku or Tun Hussein Onn? To me as the region’s lead consumerist I find such hypocrisy complexes the offense, but some politicians and officials are getting callous and do not pay any heed. They have a belief that it is all a way of life and a part of their routine and describe it as unavoidable and an incurable disease. And this greed prevalent in society has now pushed Malaysian humanity into a medieval sort of total decadence. All are thirsting for personal profits and gratifications! As an individual who loves his country, I pray that our future generations, our energetic youth of today will transform to be one source that can actually uproot the very weed and tentacles of corruption. Internationally, I pray the 1MDB scandal that has embarrassed this nation will initiate drastic action on the perpetrators of this heinous act and the fallout therein will act as a stimulant to real positive structural reforms that all peace loving and caring Malaysians can believe in! ASEAN/APEC LEAD CONSUMERIST DR JACOB GEORGE: TRAFFICKING & EXPLOITATION – MERE LIP SERVICE NOT ENOUGH! “My only criticism of the visit is that there were no efforts made for us in the NGO world to have an opportunity to have a face to face meeting with the visiting ambassador in a similar private setting! I was indeed glad to hear that US Ambassador-at-Large to Monitor and Combat Trafficking in Persons, Susan Coppedge, is in Malaysia to hold discussions with Deputy Prime Minister and Home Minister Ahmad Zahid Hamidi. I understand that Coppedge, who is also senior adviser to the US Secretary of State, is on a two-day visit to Malaysia following the Trafficking in Persons report (TIP) 2016 issued by the US State Department’s Office in Washington on June 30. The US government’s assessment on 188 countries in terms of prevention, prosecution and protection, saw Malaysia remaining in the Tier 2 Watchlist on human trafficking this year. I am certain that the said interaction session was to discuss the recommendations given by the US State Department for Malaysia to improve the country’s ranking in next year’s report. It is certainly not just enough to just collaborate with the United States in the field of capacity building which touches on all aspects of prosecution and convictions, including identifying individuals with potential to become victims of labor exploitation and forced labor but to also plan an action plan to identify the stakeholders, brokers, conduits and players, their financial backers and those who provide them the resources and immunity to escape the dragnet of these international forces! Susan Coppedge must however be advised that Malaysia’s response on this matter has also to take cognizance of the country’s obligations as an ASEAN member country, following the acceptance of the ASEAN Convention Against Trafficking in Persons, Especially Women and Children, and the Regional Plan of Action on the crime. My only criticism of the visit is that there were no efforts made for us in the NGO world to have an opportunity to have a face to face meeting with the visiting ambassador in a similar private setting! This must be an oversight? Perhaps, going forward the narrative will change? APEC/ASEAN LEAD CONSUMERIST DR JACOB GEORGE – OUTGOING BRITISH PM A CLASS ACT TILL THE LAST! “I am glad that David has indicated strongly that he intends to stay in public life and would be “willing them on”, saying “nothing is impossible”. For those of us, who are international political analysts, watching, analyzing world events and narratives, cannot but say that outgoing British Premier David Cameron certainly deserved the standing ovation by Conservative MPs after his final Prime Minister’s Questions. It was brilliant watching the outgoing premier give a commanding speech with humor watched by his wife Samantha and daughters Nancy and Florence at the public gallery seen waving and cheering their dad on! However touching on his speech, I believe there was no reason for David to defend his economic, social and foreign affairs legacy, as for an international observer like me, he has done extremely well! And rightfully so, Conservative MPs rose as one to applaud David Cameron at the end of his 182nd session as prime minister, as did former Lib Dem deputy prime minister Nick Clegg and Labor leader Jeremy Corbyn. I am glad that David has indicated strongly that he intends to stay in public life and would be “willing them on”, saying “nothing is impossible”. He is still very young and I wonder if at some stage in the future he may return as Prime Minister? For now, events are tailored for him going forward as true, democratic policy requires! David will next go to Buckingham Palace to tender his resignation to the Queen, after being Prime Minister for six year and certainly he would have continued following the strong mandate he received the last elections, if not for losing the EU referendum in June. Moving forward Home Secretary Theresa May will succeed David after her own audience with the Queen. After taking office, incoming Prime Minister Theresa May will herself name her own cabinet as is required! And at 59 she becomes the oldest incoming prime minister since Jim Callaghan in 1976, and as Britain’s second female prime minister, following in the footsteps of Margaret Thatcher. I am certain among the events awaiting her then would be a full briefing and interactions with Cabinet Secretary Sir Jeremy Heyward, and national security and defense briefings which are crucial. I certainly expect her to work the telephone lines receiving and calling on a number of foreign and Europeans leaders. Also high on her list would be putting together her government – with key appointments set to be announced speedily! I would be watching the roles present International Development Secretary Justine Greening and Energy Secretary Amber Rudd would be playing in the new cabinet! There is so much work to be done post the EU referendum and decision made and stakeholders across the nation, region and global will be watching the going forward narratives and direction. I wish incoming Premier Theresa May every best wishes as she takes lead! ASEAN/APEC LEAD CONSUMERIST DR JACOB GEORGE – POLITICAL LESSONS TO BE LEARNED FROM BRITISH POLITICIANS AND TRUE VIBRANT DEMOCRACIES! “By so doing the incoming Prime Minister, has set the stage where the nation’s and people interest came first and not personal and private agendas, that we always see in so called pretentious and fake democracies! When well respected, The Times newspaper carried an interview with UK Energy minister Andrea Leadsom in which she appeared to suggest that being a mother meant she had more of a stake in the country’s future than her rival Home Secretary Theresa May, who has no children, siting having high tea at this London café, I told my children, both legal eagles in the UK that public interest and opinion will now make certain, she stands down! As a British trained Lawyer, I was aware that according to political conventions, her comments were very unbecoming of a leader to be, let alone a future British Prime Minister! More so, after current Premier David Cameron’s class act and leadership! So I was not the least surprised, to learn today that energy minister, Andrea Leadsom has withdrew from the contest to succeed David Cameron as Britain’s prime minister! This means the path is laid clear for Theresa May who has been Home Secretary since 2010, and the Member of Parliament for Maidenhead since 1997 to lead! I am excited as this would mean a second female British Prime Minister! I had the opportunity more than once, to meet the late Baroness Margaret Hilda Thatcher, when she was premier, when she visited my former University – at Buckingham! Now back to this saga! I was pleased to see, the manner and process used as Andrea stood down from contesting putting the nation’s and party’s interest in the forefront! The Energy Minister, read out a statement to reporters in which she said she was pulling out of the race because a nine-week leadership campaign was highly undesirable at such a critical time. She also acknowledged that May had secured much stronger backing, in a vote of Conservative members of parliament last week. She had also concluded that a strong leadership was needed urgently, to begin the work of withdrawing from the European Union and the nation’s interests was paramount. Finally, she also assured May of her full support! It was a class act, repeatedly seen, in true democracies around the world! But, as is required and confirmed by Graham Brady, head of the 330-strong Conservative faction in parliament, there were still constitutional procedures to be observed before May’s appointment could be confirmed! Theresa May on her part, set the narrative which sets into motion several important facets! First, a vision for of an economy, working for all not, just the privileged few! Second, dealing with the nation’s long-standing productivity problem, to create more well-paid jobs, to negotiate the best terms for Britain’s departure from the EU and to forge a new role for the nation! Finally, she put to rest speculation, of a second referendum saying very clearly, that the British people were given their opportunity to vote on this and that they have given a very clear message, which must be followed through, though at present that decision of a 52-48 percent vote to quit the EU after 43 years of membership had shaken financial markets because the complex divorce process creates huge uncertainty for business, trade and investment. It has also thrown both Britain’s major political parties into upheaval. By so doing, the incoming Prime Minister has set the stage, where the nation’s and people interest came first, and not personal and private agendas, that we always see in so called pretentious and fake democracies! There are lessons to be learned here! But sadly, many pretentious and fake democracies and their politicians have their heads stuck so deep in their rear end to understand nation’s and public interest, dignity, decorum, fair-play, convention, accountability, transparency, separation of powers, principles, due process, ethics and so forth!